Guided Hikes: Frontera recently held several guided hikes, one at Thunder Canyon and the other at Resler Canyon. 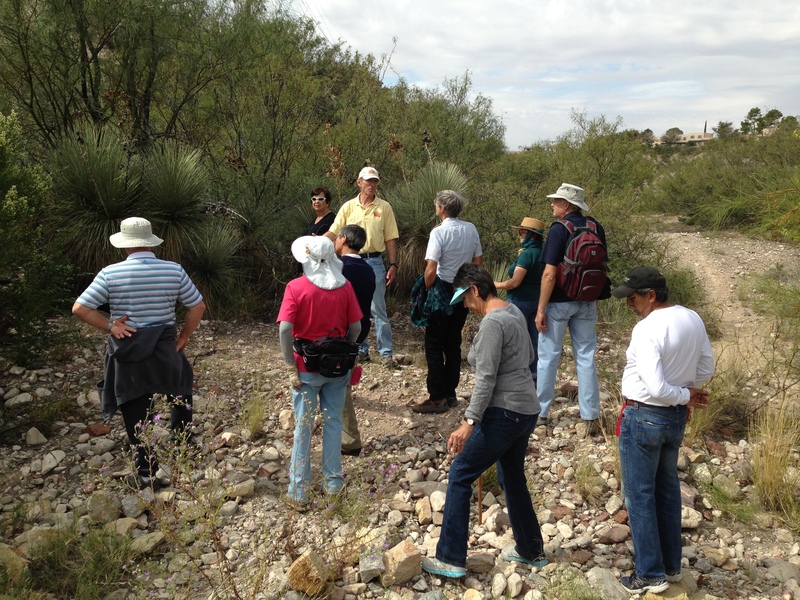 Many folks attended both, and everyone learned quite a lot about the local geology, the history of the area and its native plants and their value to medicine and nourishment. Celebration of our Mountains: October is a great month to get outside! If you enjoy sitting on a bench or scaling cliffsides, the weather is cooler and everyone becomes a little more active. During the Celebration of Our Mountains this year more booklets were printed than ever before (and even so we still ran out). And the number of people that attended the events has increased geometrically since last year! Ever think about donating a bequest? Frontera depends on your support for our programs and projects. One way to give is through a bequest. You can donate money, conservation agreement or land. Donating land or a conservation agreement through a bequest entitles you to own, manage, and enjoy your land during your lifetime while giving you the peace of mind that it will be cared for in the future. The donor remains responsible for maintenance and real estate taxes on the property, but removing land from an estate can significantly reduce inheritance taxes. A bequest is relatively simple to prepare and can be amended should your circumstances or intentions change. It is advisable to discuss a donation with Frontera before its inclusion in a will. To learn more about protecting your land, contact Janae@FronteraLandAllaince.org or 915-351-8352.